Children's Trachten T-Shirt Jako in White. This smart white children's T-shirt looks great worn with lederhosen or shorts for a summertime outfit that any young boy would be more than happy to wear. The neat hem and neckline make it smart enough to be worn for a special occasion and the colourful design on the front makes it eye-catching and easy to match with other colours. 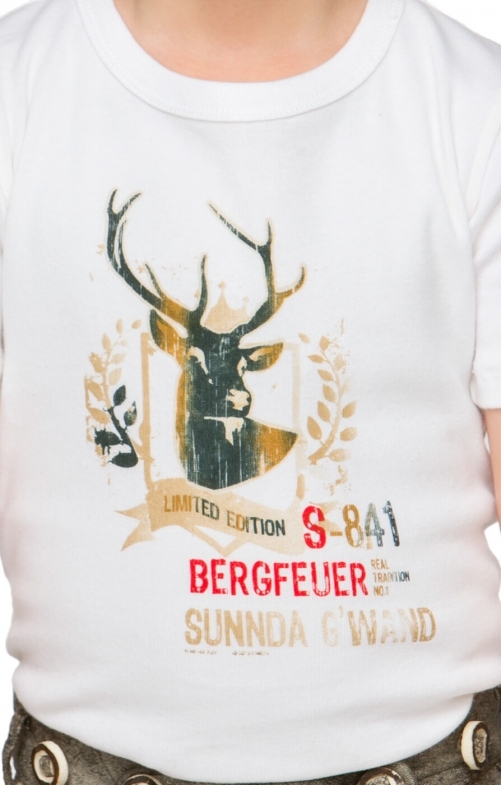 The trendy stag head on the front is a great feature of this t-shirt as it embodies traditional German style. As it is made form 100% cotton, it is comfortable to wear and easy to wash.